SAVE MONEY! 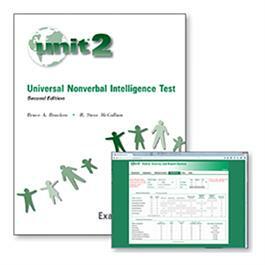 Buy the UNIT2 Complete Kit in combination with the Online Scoring and Report System (includes 5 licenses)! provide a MS Word or PDF report of UNIT2 performance. UNIT2 Online Scoring and Report System first-time base subscription provides one-year unlimited online scoring and report access for up to five users (includes 5 licenses). Annual base subscription renewal provides one-year unlimited online scoring and report access for up to five users (includes 5 license renewals. Add-on license provides access for up to five additional users (includes 5 licenses). Add-on user license can only be purchased with a base subscription. Purchasers are provided unique URLs via e-mail, to unlock five UNIT2 Online Scoring and Report System licenses. Purchaser's email is needed for product delivery.